A tight-knit, yet welcoming community, Maplewood, New Jersey, is a wonderful place to buy a home. Just a short train ride from Manhattan, it is a popular town among prospective home buyers and anyone who visits quickly finds out why. Residents of Maplewood enjoy a long list of impressive amenities and features that include great options for shopping, dining, entertainment and recreation. At the heart of Maplewood is where the magic of small-town living comes to life. Here, you’ll find local shops, restaurants and art studios, all working together to make your walk down Maplewood Avenue a truly joyful experience. As you travel throughout the community, the town’s stately colonial homes add to this picturesque suburb’s charming ambiance. Despite having a small town charm, there is no shortage of things to do in Maplewood. For example, residents and visitors alike love the annual Maplewoodstock, a two-day art and music festival that lets Maplewood’s artistic side shine. In addition, South Mountain Reservation, resting partly in Maplewood, is host to a zoo, dog park, ice skating arena, and miles of scenic walking trails. Another popular destination in the town, Memorial Park is a beautiful place which boasts picnic areas, playgrounds, tennis courts, and ball fields. With all of these great features and attractions, homebuyers would be remiss not to consider the diverse real estate of Maplewood. Homes for sale in Maplewood include properties of various ages, sizes and architectural styles, all within a broad price range that accommodates most budgets. Whether you are a business professional, family, empty nester, retiree or fall somewhere in between, you are certain to find a perfect home for you in Maplewood. 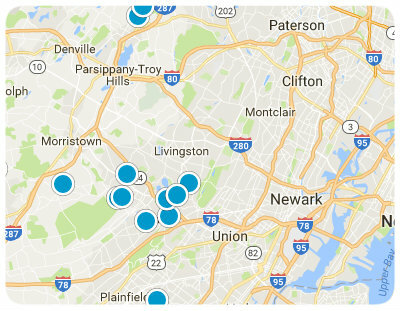 To learn more about available real estate in Maplewood, New Jersey, please contact us for assistance or more information.